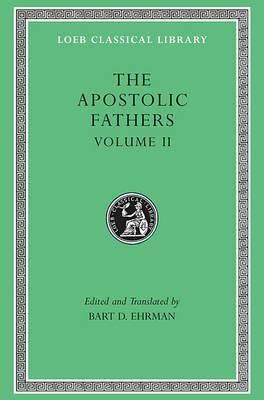 Description: The writings of the Apostolic Fathers give a rich and diverse picture of Christian life and thought in the period immediately after New Testament times. Some of these writings were accorded almost Scriptural authority in the early Church. This new Loeb Classical Library edition, a translation facing the Greek text, reflects the latest scholarship. The Letters of Ignatius, bishop of Antioch, are among the most famous documents of early Christianity. These letters, addressing core theological questions, were written to a half-dozen different congregations while Ignatius was en route to Rome as a prisoner, condemned to be martyred in the arena. Also here is a letter to the Philippian church by Polycarp, bishop of Smyrna and friend of Ignatius, as well as an account of Polycarp's martyrdom.